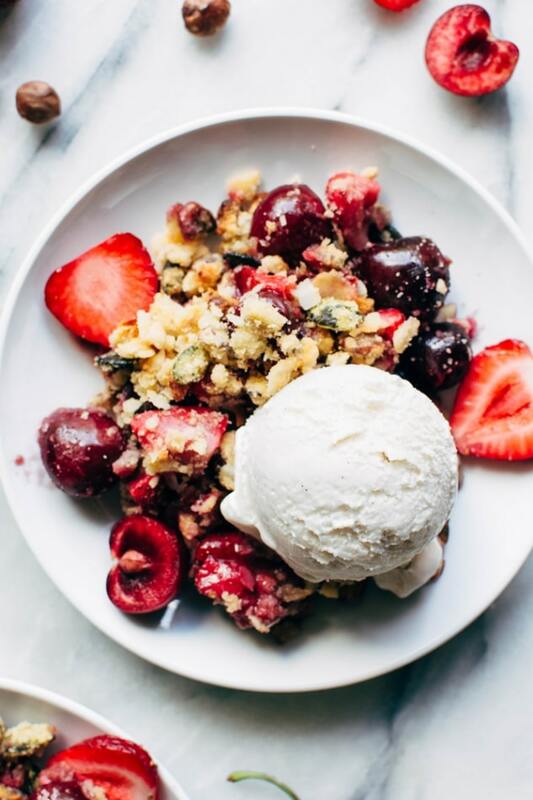 Cherry and strawberry crisp that’s naturally grain free, sweetened without refined sugar, with a perfect crisp upper crust and a bubbling cherries and berries underneath? 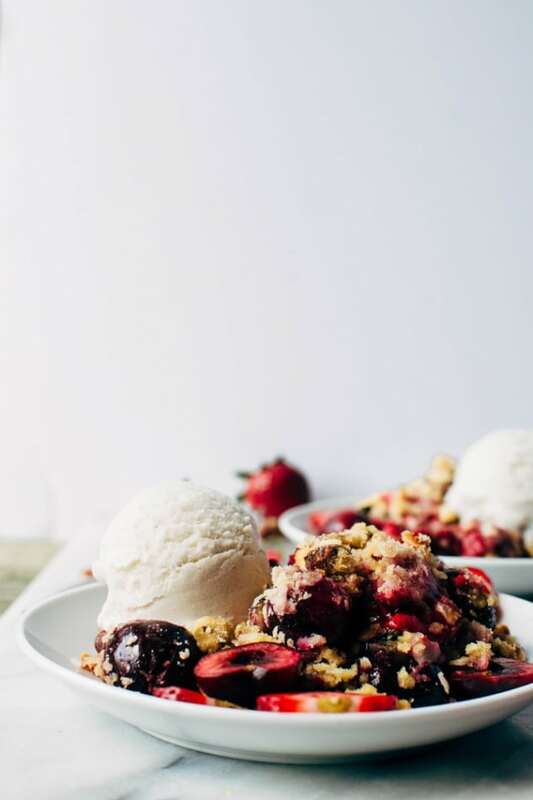 Yes my friends, we are talking paleo cherry and strawberry crisp today and this sweet treat is about to win over your summer loving heart. 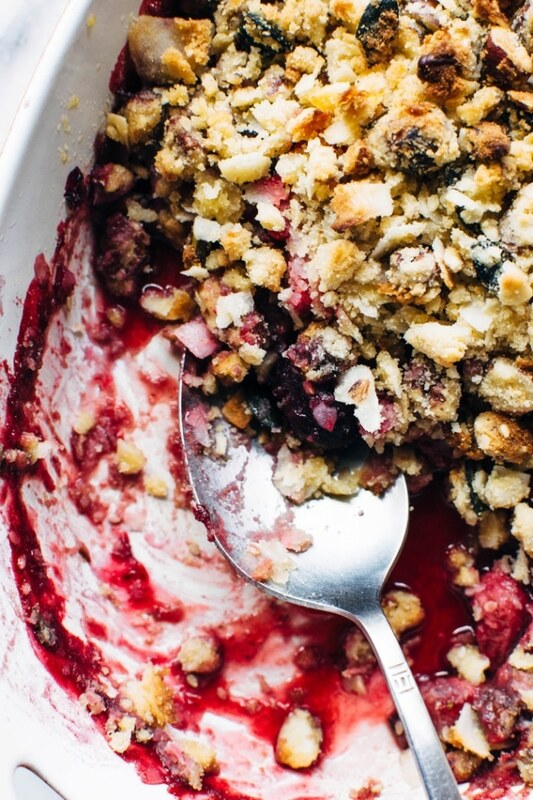 There’s something about a fresh fruit crisp that is the very epitome of summer dessert charm. 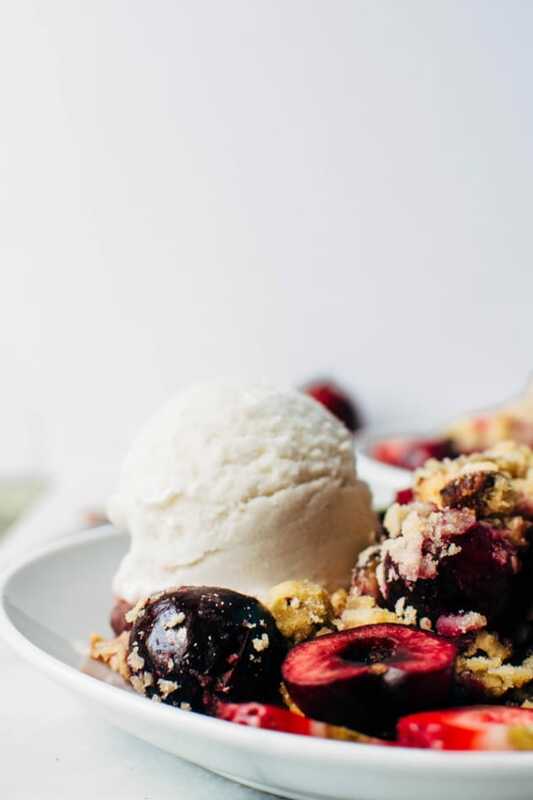 It’s a simple + humble treat that, when paired with a scoop of creamy (in this case, dairy free) vanilla ice cream is like the cherry on top of a perfect summer day. 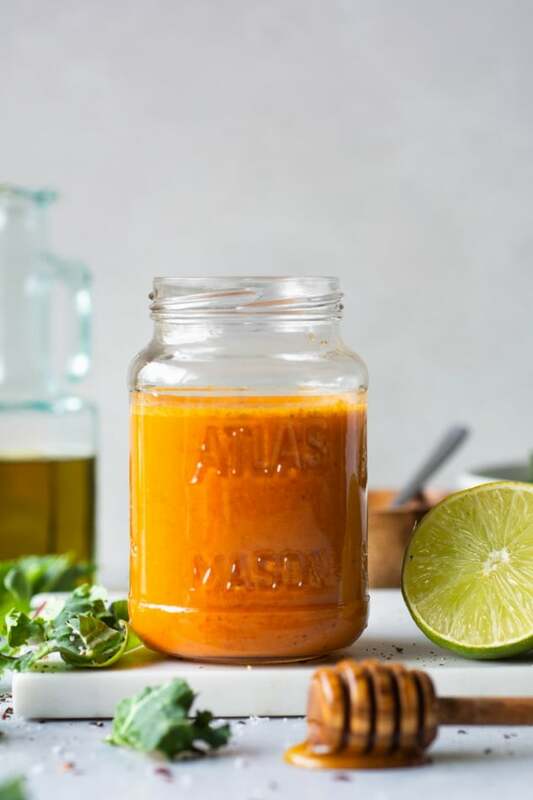 We’ve been doing a lot of that simple cooking these days as the light ebbs long into the evening hours (although we are on the other side of that trend now, it will still be awhile before we’re eating dinner in the dark). Dinners on our deck with the cool evening breeze are embraced as often as possible, usually with a glass of rosé (for me) and a cold beer (for him) in hand. 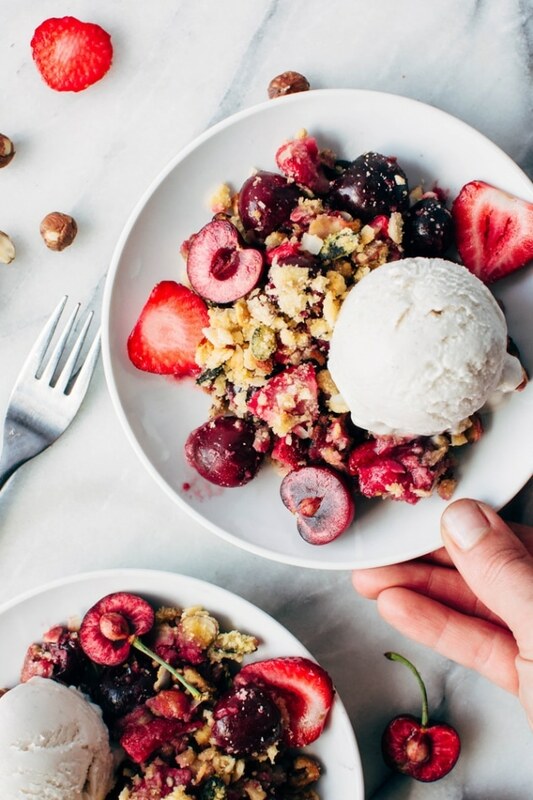 And when you top off some sublime al fresco dining with a bowl of fresh paleo cherry strawberry crisp, we’re talking pretty near perfection as far as simple home feasting is concerned. 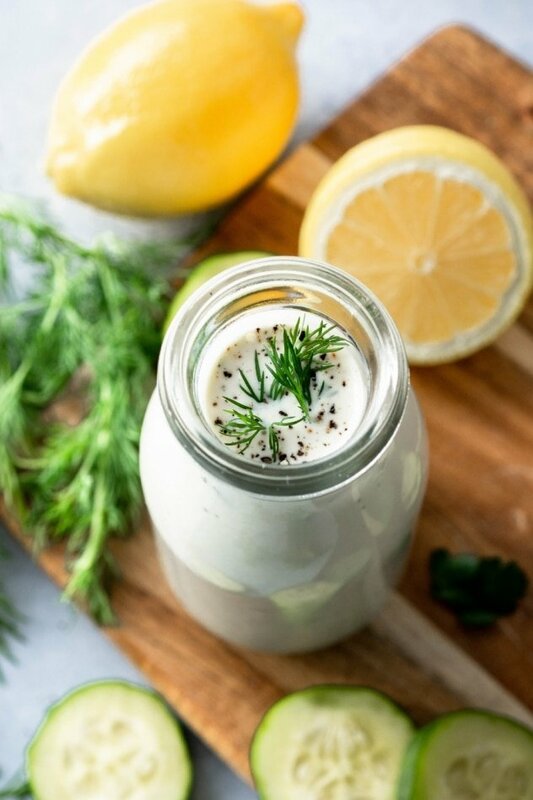 I tried to make my own vanilla ice cream for this recipe – I was thinking a light and fluffy paleo vanilla made with a whipped coconut cream base, but alas, the coconut cream that I had on hand would not whip up. After a little research I have since found out (thanks, Oh, Lady Cakes!) that coconut milk from Sri Lanka tends not to whip very well, which is where the Trader Joe’s coconut milk and cream is sourced from. Now that I’m the wiser, there’s now a few cans of Thai coconut milk in the fridge waiting for round 2 of this project, but it didn’t happen in time for this post. So I went with our favorite local vanilla coconut scoop, and you can of course sub in your favorite to pair with this simple dessert. I have had homemade ice cream on the mind though! In the most serious way. About as seriously as you can at the end of June (which, it turns out, is pretty seriously). And, since I haven’t bought an ice cream maker yet, I doubt it will be long before I get a handle on this no churn frozen dessert situation. In fact there’s a little bread pan lined with parchment paper and filled with watermelon sorbet in my freezer right now as we speak. Yep. Pretty optimistic about the outlook on tonight’s dessert. We’ll see how long I hold out. Do any of you have a recommendation for one you love? 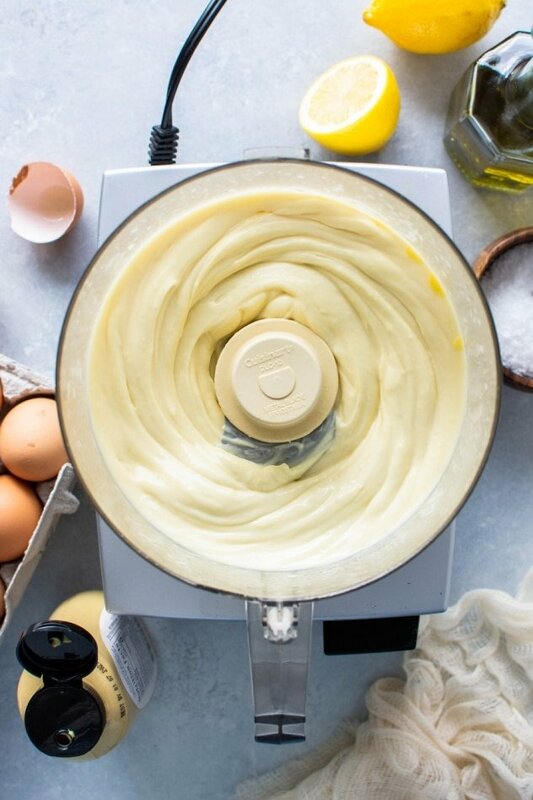 I have a kitchenaid mixer, and so the obvious choice seemed like buying the attachment for that, but a little bit of research has shown that it’s not always the most reliable piece of equipment, and that there are other less expensive options that perform better. If anyone has any input I would be forever indebted to you! 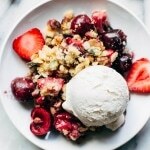 But now for the real important questions..
What did I leave out of this paleo cherry strawberry fruit crisp? And what good stuff is included in this crisp? The best part? This crisp can be made in right around 30 minutes. No fuss. Easy clean up. And if you give the bowl a rinse and wipe in between steps you can even make it with one bowl. A summer dessert to be made again and again. Want more easy grain free dessert recipes? Check out these favorites! 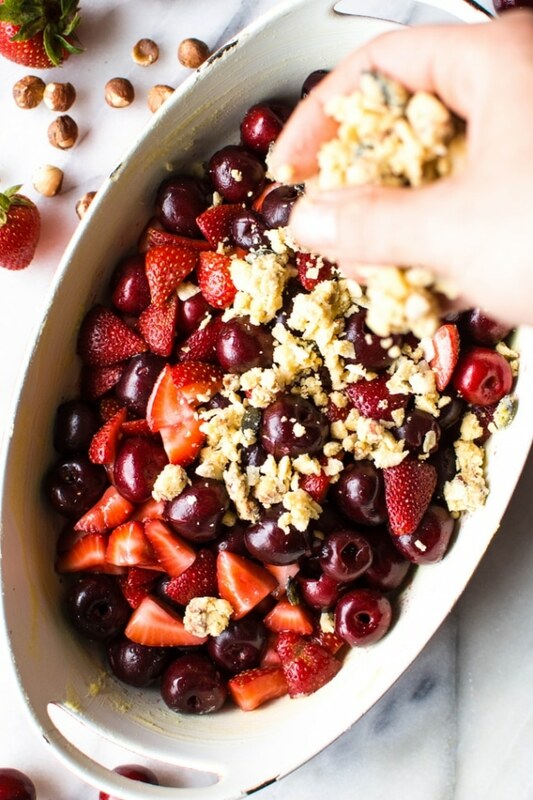 Paleo cherry strawberry crisp is the perfect simple and healthy summer treat. 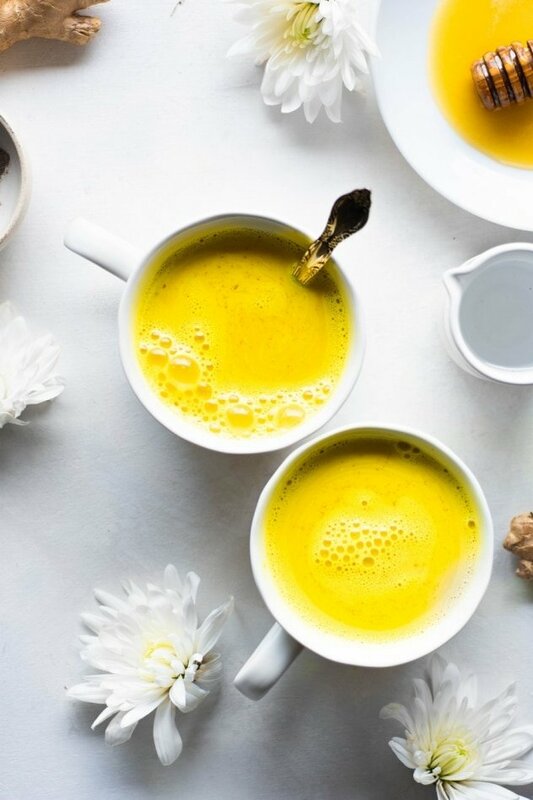 Free of grains, refined sugar, and processed vegetable oils, it will nourish your summer bod from the inside out! Move rack to the lower third of the oven and preheat to 350. Grease all the sides of your 2 quart baking dish with ghee or coconut oil. In a large bowl, mix together cherries, strawberries, salt, lemon juice, vanilla extract, maple syrup and arrowroot powder. Pour into greased baking dish. Chop pecans and hazelnuts, and add to a large bowl along with all other ingredients. Mix together with your hands or a fork, until you get a dry crumbly consistency. Important! Bake on the lower third of your oven. The first time I made this I baked it in the middle of the oven and the top starting browning a little too soon, which resulted in an unfinished fruity base, and an over done top. 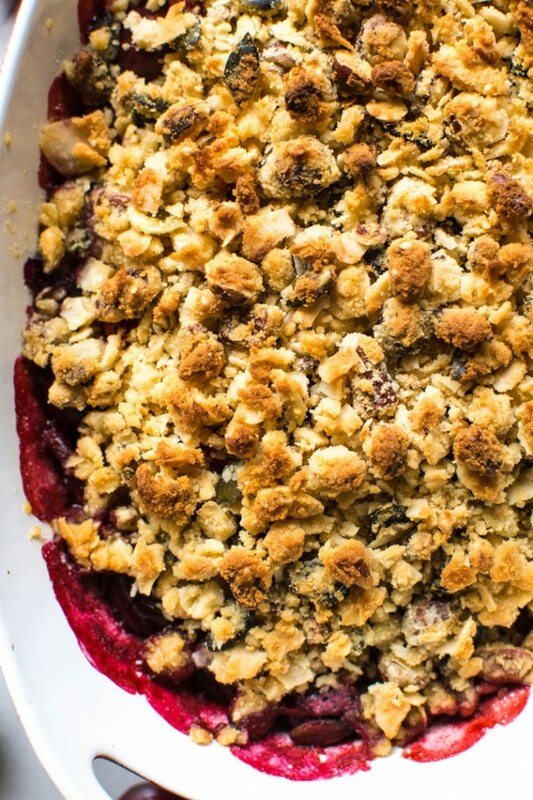 By moving the crisp to the lower portion of the oven you give the fruit base a head start, and slow down the browning of the crumble on top. Bake for 20 minutes. Check to make sure the top isn’t getting too brown, and bake another 5-8 minutes until top is golden brown, and fruit is bubbling! Top with vanilla ice cream if desired, and serve! 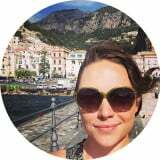 This entry was posted in sweets and tagged cherries, crisp, dessert, easy, gluten free, gluten free dessert, grain free, grain free dessert, healthy, ice cream, paleo dessert, strawberries, summer, vegan on June 23, 2017 by Nyssa Tanner.